If there’s a grape varietal that currently defines New Zealand, it’s most definitely the Sauvignon Blanc. Originally hailing from and made popular in its French stronghold in the upper Loire Valley – especially by the appellations of Sancerre and Pouilly-Fumé – any talk of the distinctively crisp and aromatic wines made from that grape would inevitably turn towards that upstart New World wine producer. While winemaking has been attempted in New Zealand since colonial times back in the mid-1900s, it was really only in the 1970s that New Zealand’s wine industry begun to take shape. That the Sauvignon Blanc grape took to and thrived in the country’s free draining alluvial valleys – such as Hawke’s Bay, Martinborough, Nelson, as well as the Wairau and Awatere valleys of Marlborough – coupled with the sudden explosion of demand from around the world for its wine from the 1990s caught many winemakers by surprise. Much of that demand is coming from Asia. Just take the example of Auckland-based wine company Villa Maria, which officially launched its wines in Singapore just two years ago but has since seen demand skyrocket here. “Singaporeans can’t get enough of (Villa Maria’s Sauvignon Blanc),” says Kevin Tan, assistant wine manager at Beam Global Asia, part of Beam Suntory which distributes Villa Maria wines in Singapore. He adds that Beam Suntory had projected sales of 1,200 cases when the brand was first introduced in 2012, and 1,800 cases for 2013. But this year actual depletions have already surpassed 1,800 cases, showing strong and steady growth for its portfolio. In 1961, 21-year old Villa Maria founder George Fistonich started off alone with just one acre of vines. Today it employs over 250 permanent staff and exports wines to over 50 countries wordlwide. Fistonich has even been knighted for his services to the new Zealand wine industry. That growth pretty much dovetails with overall demand for New Zealand wine – by early 2000s, they were beginning to contest for space on retail shelves and in wine fridges that were once dominated by Australian wines (especially from the Barossa and Yarra valleys). But that growing demand is not limited to Singapore alone – family-owned Villa Maria sells roughly as much wine to Malaysia and South Korea as it does Singapore, while Japan consumes three times as much. 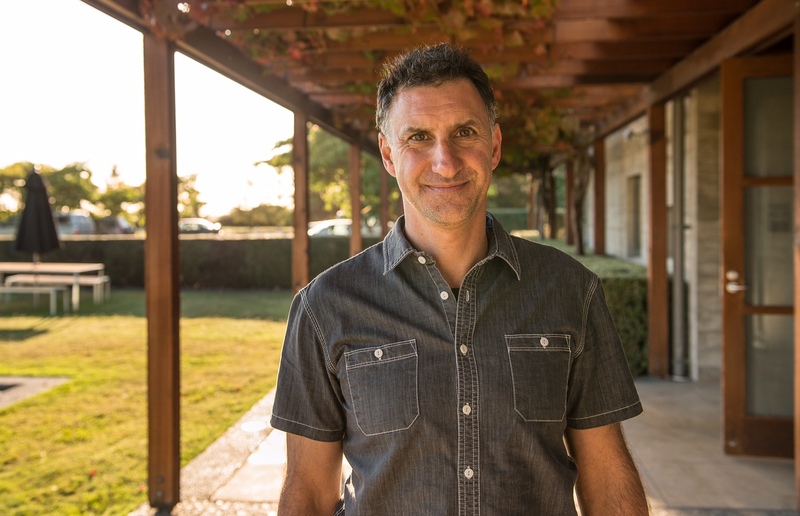 Villa Maria chief winemaker George Geris (above), who manages its Marlborough winery, shares that the New Zealand wine industry saw a ten-fold growth over the past ten years, and a large part of that is due to the success of that one grape. But the industry veteran – he’s spent the past 17 years making wine, even winning the ‘New Zealand Winemaker of the Year” tag at 2007’s Winestate Awards – thinks New Zealand wine is set to grow even bigger. “Right now we’re known for Sauvignon Blanc. When our Pinot Noir vines take on a bit more age, they can only get better,” Geris says as he pours out a Villa Maria Cellar Selection Pinot Noir, a triple Gold award winner in 2013 and 2014, for us to try. 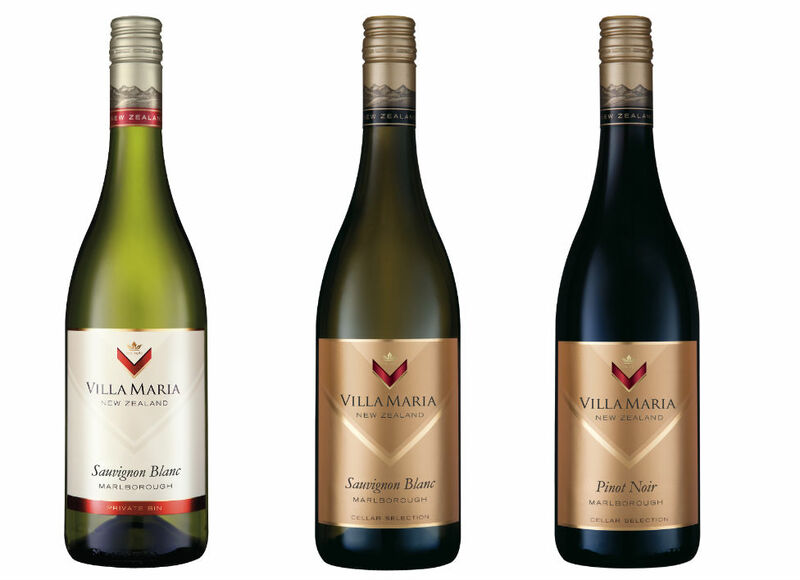 Villa Maria’s Cellar Selection Pinot Noir has won Gold at the Spiegelau International Wine Competition 2013 (NZ), Pure Elite Gold at Air New Zealand Wine Awards 2013 (NZ), and Gold at Easter Show Wine Awards 2014 (NZ). New Zealand hadn’t had much success with red grape varietals in its early viniculture days, but in the past couple of decades Pinot Noir has begun to take off especially in its Central Otago region. And even though the vines are still relatively young, today Pinot Noir already constitutes around 70% of New Zealand’s total red wine production. Villa Maria even produces single vineyard Pinot Noirs, which allows the comparison of the subtleties that terroir makes on the same grape varietal. When that happens, get ready to see a lot more of those Pinot Noirs on the shelves of bottle shops and on wine lists of restaurants near you. Flavours of passionfruit, fresh lime and melon, a juicy mouthfeel and a delicious finish. A pure expression of Marlborough Sauvignon Blanc, bursting with aromas of passionfruit, kaffir lime and gooseberry. It is powerful and juicy, displaying vibrant grapefruit notes with fantastic mid-palate weight, and a balanced acidity.